Earlier in March, students from the University of Texas Jackson School of Geosciences presented research at the annual meeting of the UT-Austin EDGER Forum, an industry consortium that sponsors education and research in exploration geophysics. Research carried out by the group spans laboratory experiments, numerical simulations and field data analysis, a combination that is virtually unheard of among geophysics consortia and frequently leads to applications in industry. We met with students from each of the consortium’s three research tracks: numerical simulations, theoretical rock physics and laboratory experiments. In this first part, we asked about the research and motivations of students working with EDGER Forum Principal Investigator, Mrinal Sen, who is also UTIG interim-Director, Professor and Jackson Chair in Applied Seismology. 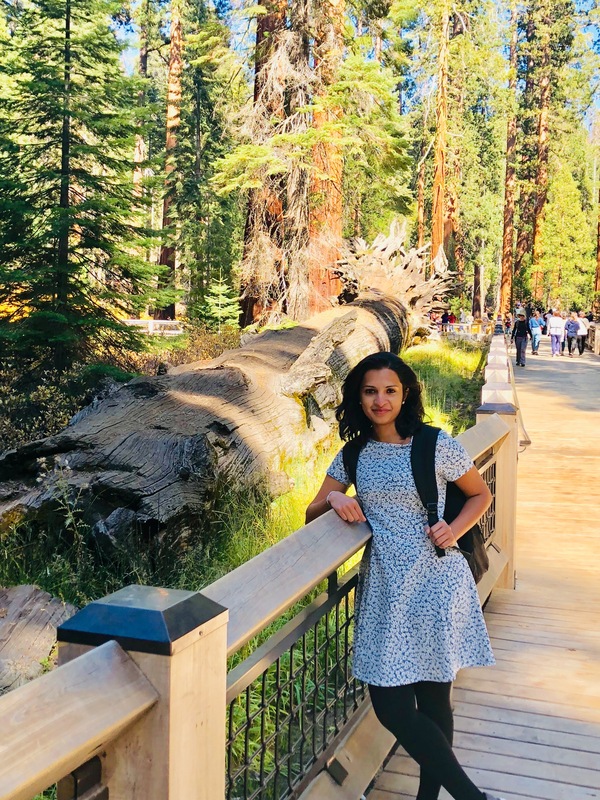 Janaki Vamaraju is a graduate research assistant at the University of Texas Institute for Geophysics (UTIG), currently in the fourth and final year of her PhD. Janaki’s career as a geophysicist is advancing rapidly and she has already received an offer to become an industry scientist at a top exploration company when she graduates in the Fall. Interestingly, Janaki never expected to become a geophysicist. In 2013, with a bachelors in civil engineering and masters in mathematics already under her belt, she travelled from her home in India to UT to study another master’s, this time in computational mechanics. By teaching computers to recognize rock properties using physics, Janaki’s method has the potential to quickly produce realistic geological images of faults found underground. Image: Vamaraju. 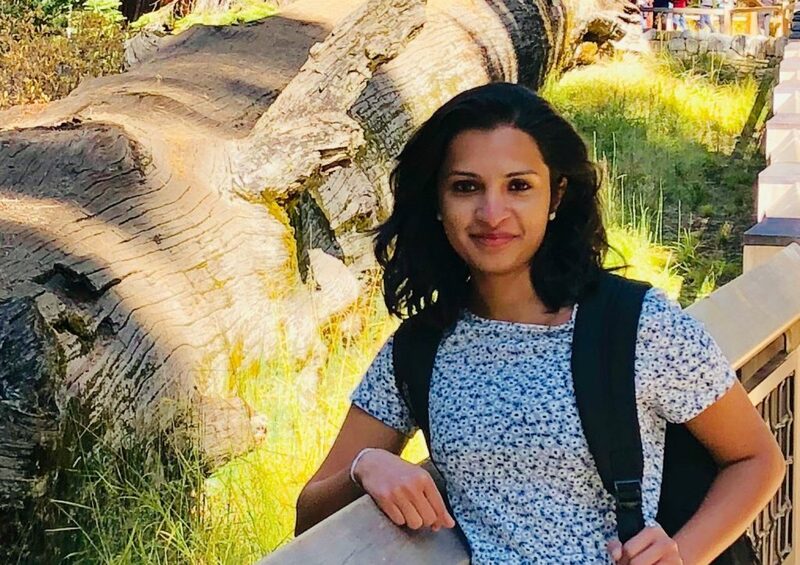 As a graduate research assistant at UTIG, Janaki uses mathematical models to develop software that can model the seismic response of fractures found in the Earth’s crust. 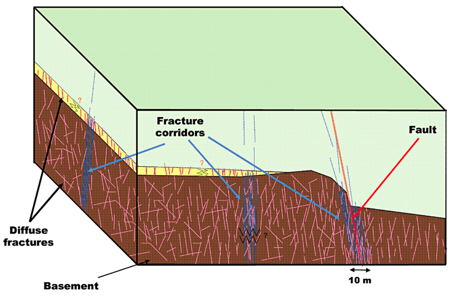 Finding and characterizing fractures is important because they can increase the chance of finding oil, for example. 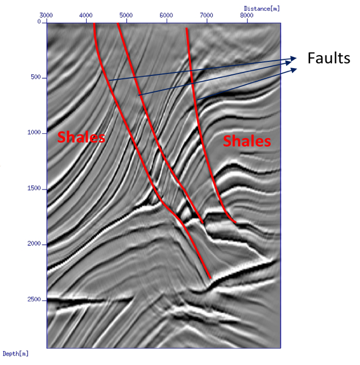 Unfortunately, because of the complexity of the Earth, current methods to interpret seismic information are forced to ignore fractures if they are to be computationally possible. That’s where Janaki’s algorithms come in. 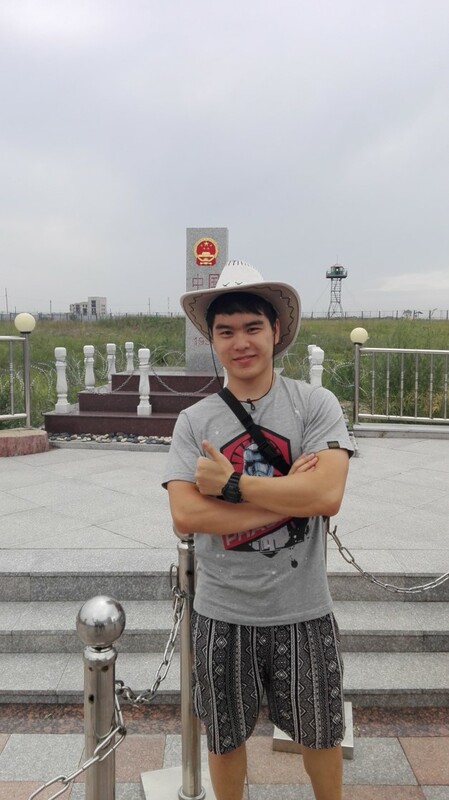 Son Phan came to the US from Vietnam in 2011 to study geophysics as a master’s student at the Jackson School of Geosciences, where he received funding from the EDGER Forum to conduct research. 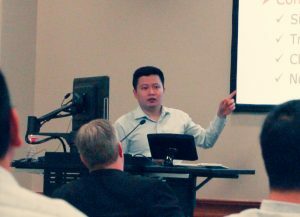 After graduating, Son returned to Vietnam to work for petroleum company Bien Dong POC, where he says he was able to apply much of the research he conducted with the EDGER Forum. Despite finding success in industry for seven years, Son decided he wanted to find more answers to the challenges he was encountering as an industry geophysicist. 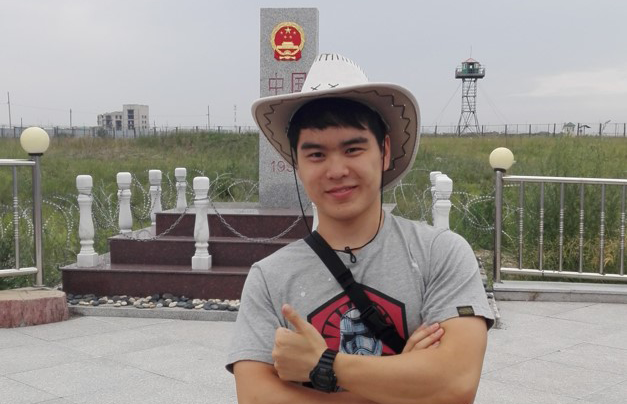 Son is now in the second year of his PhD and is studying how to integrate physics into machine learning. The methods he is using should help industry scientists better understand the characteristics of underground oil and gas reservoirs. The method Son describes could be applied to current workflows when scientists are trying to characterize reservoirs in complex geological settings. Xin describes his own research as similar to performing a CT scan, but using the Earth in place of a human being. The challenge here is that you can’t place the entire planet into a CT scanner to see what’s inside. Instead, field scientists use dynamite to create artificial seismic waves. 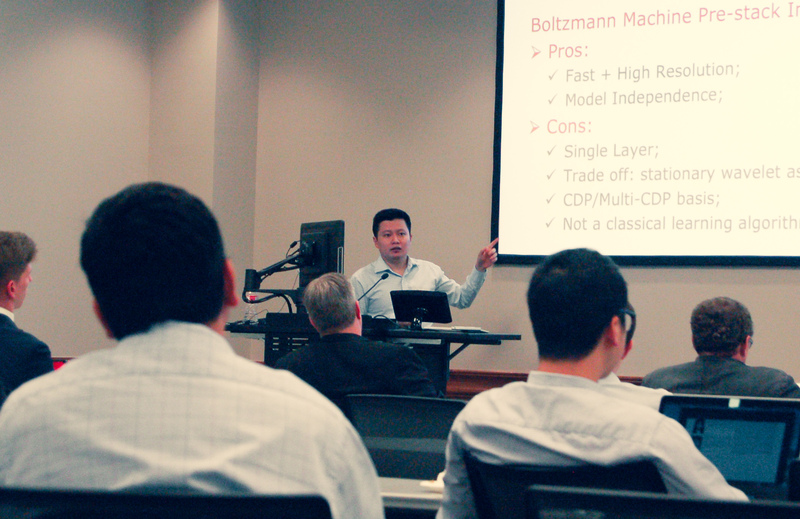 Xin’s method helps computers interpret those signals to determine what might be underground. Reetam Biswas was also introduced to UTIG by Dr. Sen. Shortly after graduating in Exploration Geophysics from the Indian Institute of Technology, Kharagpur, Reetam began working at India’s National Geophysical Research Institute, where Dr. Sen was Director in 2013. After Dr. Sen’s return to UT, Reetam was motivated to begin a PhD at the Jackson School of Geosciences and to continue working for Dr. Sen as a graduate research assistant at UTIG.